The reefs of Koh Tao teem with an incredible biodiversity of marine plants and animals. These tropical reefs, which lie in the tranquil waters of the Gulf of Thailand, are an oasis of life and colour in our oceans, and diving is your passport to this fascinating ecosystem. Ko Tao offers a wealth of world famous diving sites, like Chumphon pinnacle and Shark island, all of which are within a short boat ride from the main island. 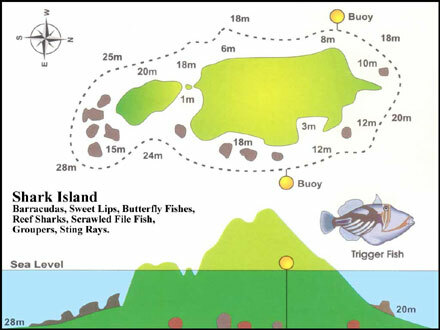 Below are just a few of the many fantastic dives sites that ringe this palm fringed tropical island hidden. 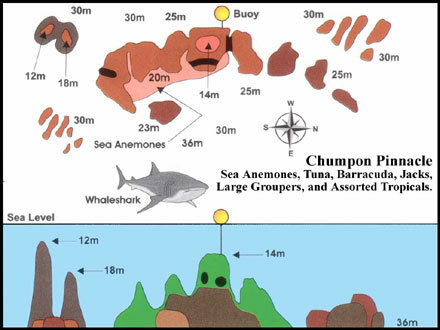 Chumphon Pinnacle: Approx. 10 Km offshore this UW granite plateau starts at a depth of 12m, the walls drop down to 24/32m. The top is covered with anemones, you can see big groupers, barracudas, travellis, tuna, batfish, occasionally reef and even whale sharks. 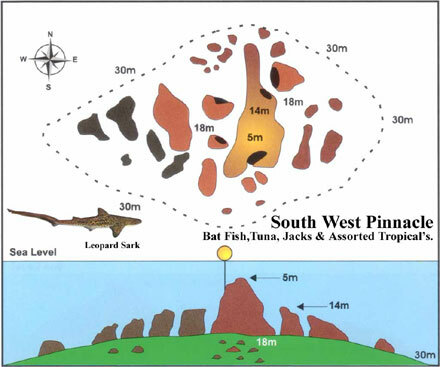 Southwest Pinnacle: 10 Km south of Ko Tao. This granite boulder formation, with a max. depth of 28m and surrounded by colourful soft corals, offers you the opportunity to encounter big pelagic fish as well as leopard sharks. Shark Island: This is a small island south- east of Ko Tao, with an abundance of marine life, including reef fish, turtles, rays and much more. 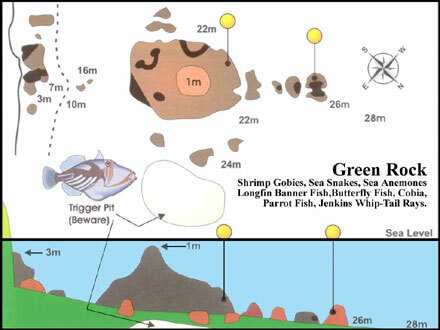 The depth ranges from 5m - 22m, but this site can be sometimes subject to strong currents, so it should only be dived under supervision of an experienced dive master. 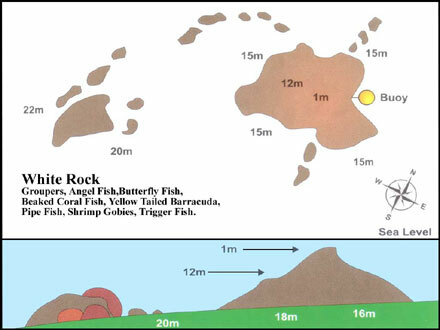 White Rock: Two UW rock formations with hard and soft corals, separated by sand patches, a colourful tropical dive, ideal for UW photography, 7m - 20m. Green Rock: An assembly of UW rocks, west of Nang Yuan, with swim through, tunnels and small caves additionally to a big variety of marine life. At the deep end reef sharks are frequently spotted.